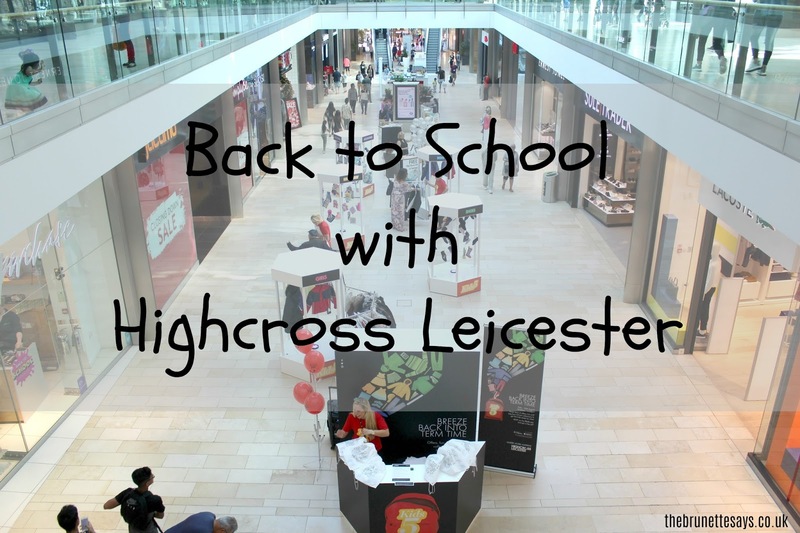 This weekend saw Leicester's iconic shopping centre, the Highcross, launch their first ever 'Back to School' Kids 5 event, helping children and their parents find the perfect uniform, coats, bags, shoes and stationary to ensure they're all kitted out ready for the new term. 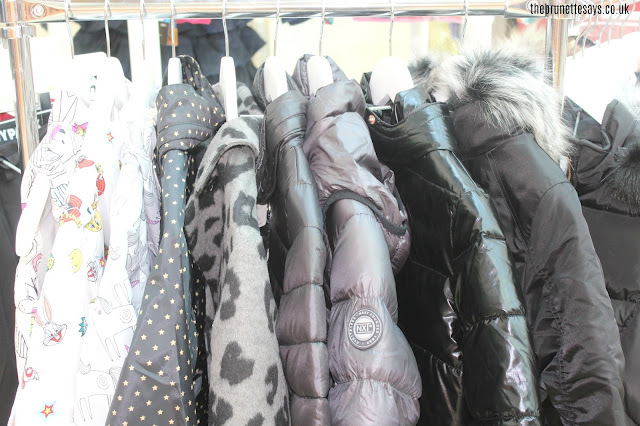 Experts were on hand to show off their top picks for the most stylish and practical items to update that school wardrobe. You may have seen my Insta Stories where the lovely stylist Elise showed us around each podium taking us through her favourite pieces from a selection of stores in the Highcross. Uniform. Trousers specifically can be a pain to get right, who's with me? When my eldest was young, I used to buy from supermarkets due to how quickly he grew. Not to mention the amount of times he'd come home with holes in them from diving around the playground! But as he got older I found Next were amazing for trousers and they'd often last all year! 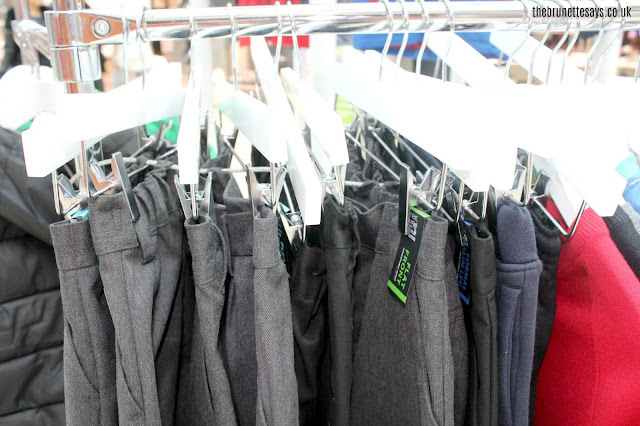 And of course there's the whole issue of whether to choose between front pleated, flat front, chino style, jean style or skinny fit, particularly when they get older and begin to want more 'trendier' styles. 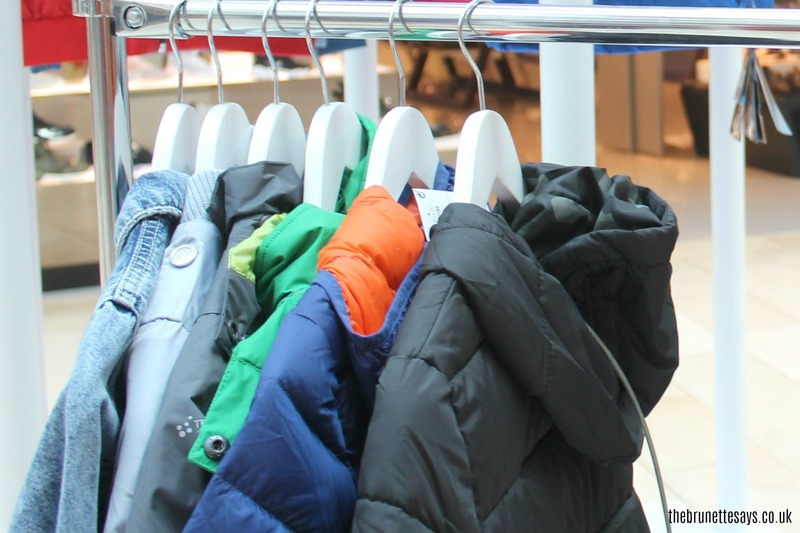 Department stores such as Next and Marks & Spencer are great for finding different options. Whilst at the event, a Mum with a teenage boy spotted some slim fit trousers and a muscle-fit shirt from Topman on the rails and spoke about how she'd been looking for the perfect style to suit her son! She was super happy and headed straight for Topman... I would never have thought of looking in Topman for uniform either but I imagine now my eldest is in his teens and becoming more aware of how he looks and feels in clothes, we'll be going this way very soon!! I loved looking through the rails of coats and jackets. There was a whole range of options from Nursery age right up to teenagers. 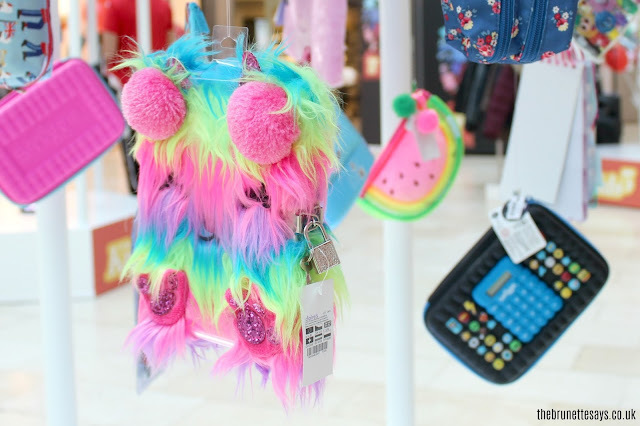 From little unicorn jackets to trendy bombers and adorable Cath Kidston jackets emblazoned with little vehicles to waterproof numbers from Trespass, there's something for every little fashionista! This hasn't really changed as he's got older, but then we have the 'I'm not wearing those, Mum, I want branded ones...' situation going on. I remember spending an absolute fortune on a pair of leather shoes for his first year of secondary school. They lasted 2 weeks before practically begged me to get him different ones as he was complaining people were making comments. He's very lucky that his school allow trainers as long as they are completely black with no coloured markings. But being a size 8/9 adult size, you can imagine how much these cost me each time! Fortunately, Highcross have a great range of shoe retailers from sports shops, department stores to the well known fashion footwear stores such as Office and Schuh. The shoe stand had a mix of fashionable leather shoes, fab memory foam shoes from Sketchers & cute leather pumps for the girls. 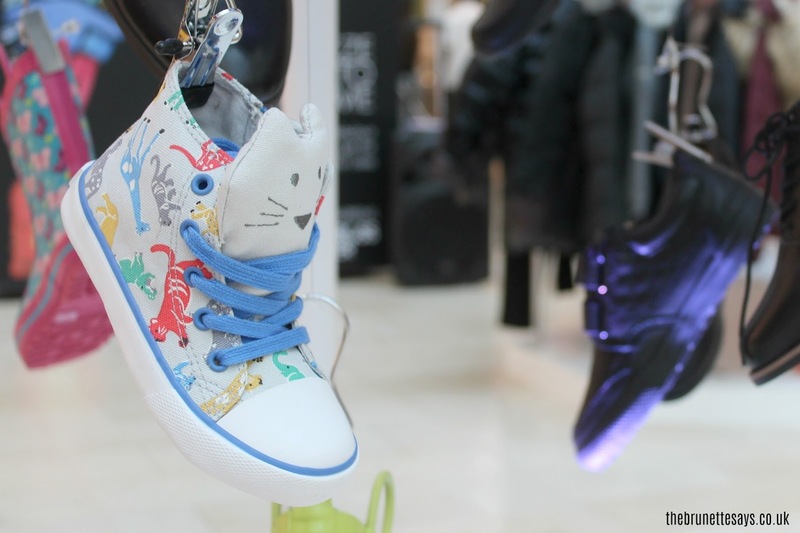 I fell in love with the super cute Cath Kidston shoes above, with the animal face tongues. So adorable. Perfect for Nursery aged children. My youngest starts Nursery school this week and has to wear black shoes, but I'm definitely heading to Cath Kidston soon to see what every day wear shoes they have for him! Bags and accessories were my favourite bit as a kid. I loved funky stationary!! Shops like Smiggle and Paperchase would have been heaven for me back then! 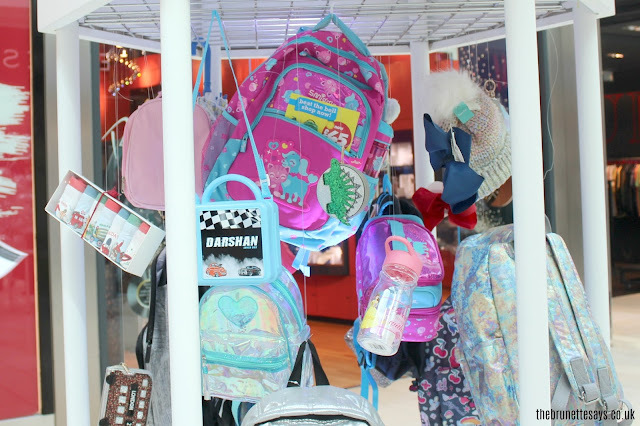 All the bright colours, sparkly and funky pieces available now; they're so lucky nowadays! 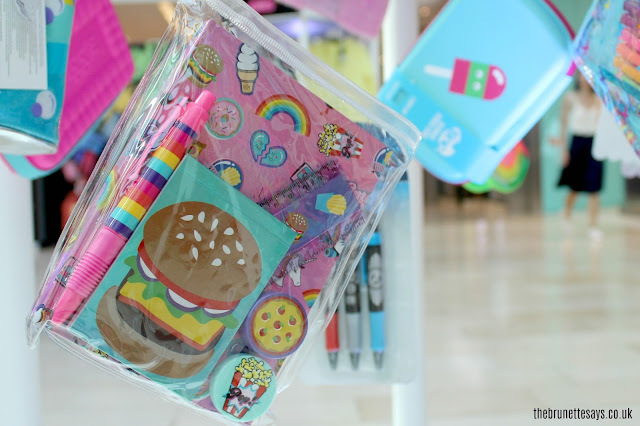 Located on the first floor in the Highcross are personalised gift experts Image Surgeons who currently have a fantastic 20% off offer on selected back to school items including personalised lunch boxes! 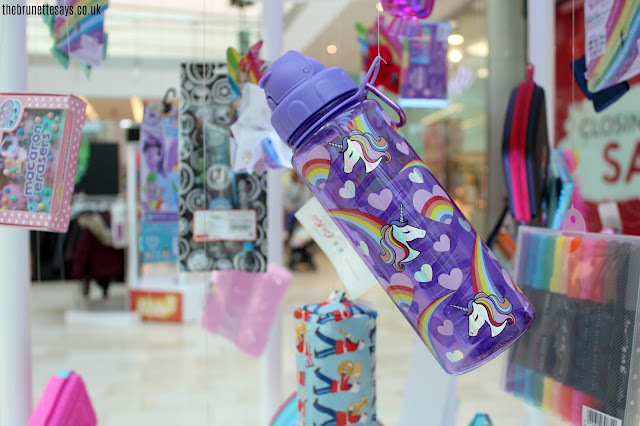 Smiggle and Claire's Accessories have some cute and quirky lunch boxes and flasks in store. I love the Unicorn flask above, bang on trend right now! Fortunately for me, my eldest is more than happy with a plain pencil case with a pen, pencil and ruler inside. 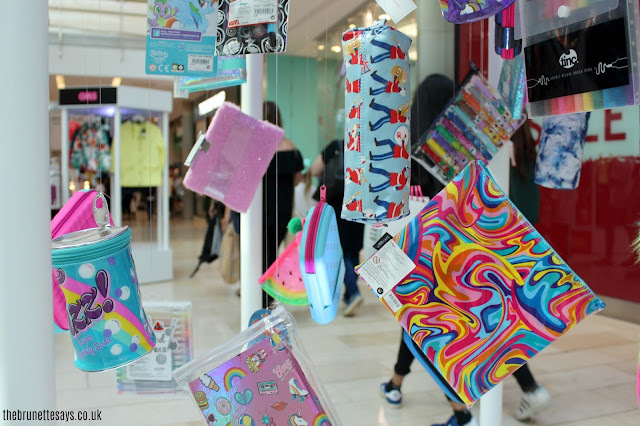 :) But for those, like me, who love pretty stationary are spoilt for choice with what's on offer at stores around the Highcross. I'll be honest, I'm heading to Cath Kidston very soon to grab some cute new stationary for my businesses too!! You can never have too much pretty stationary, right? 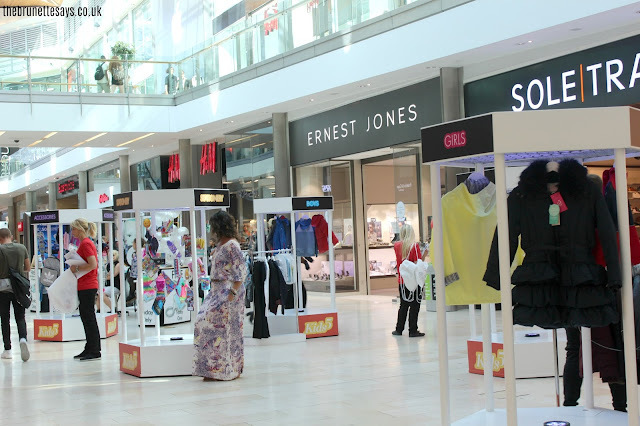 If you're heading down to the Highcross soon, make sure you download the Highcross Plus app for exclusive offers, competitions & more. Back in February I asked for the Violet Voss Holy Grail eyeshadow palette for my birthday. I didn't get it. I didn't get anything. So of course I treated myself to it. I wasn't going to miss out, I needed this baby in my life!! 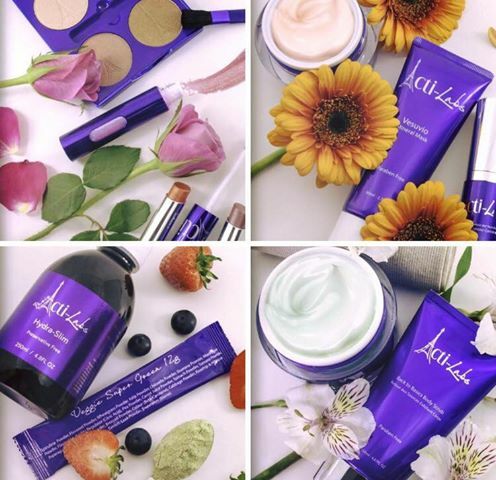 There had been a huge hype when it was first launched, I heard mixed reviews but it was still something I wanted to try myself. 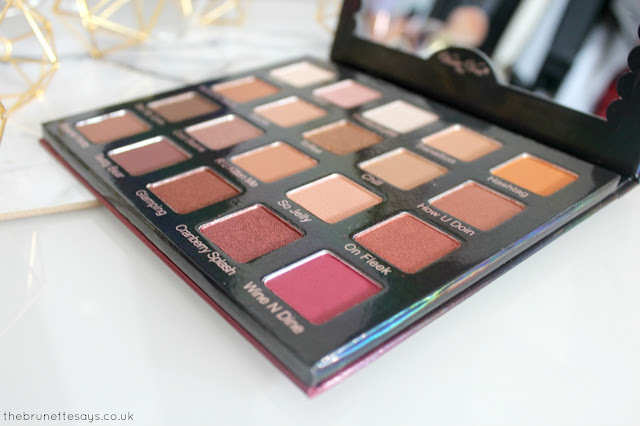 Full of warm toned, almost autumnal themed shades; all bronzes, browns and burgundies, I couldn't wait to get my hands on it! It's huge. The shadows themselves are a fantastic size. That's what originally drew me to this palette. You're definitely getting your moneys worth. All forty quid of it. 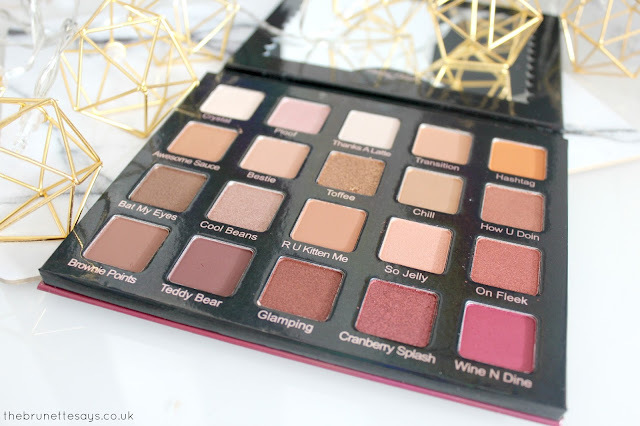 This palette is the perfect travel friendly palette. 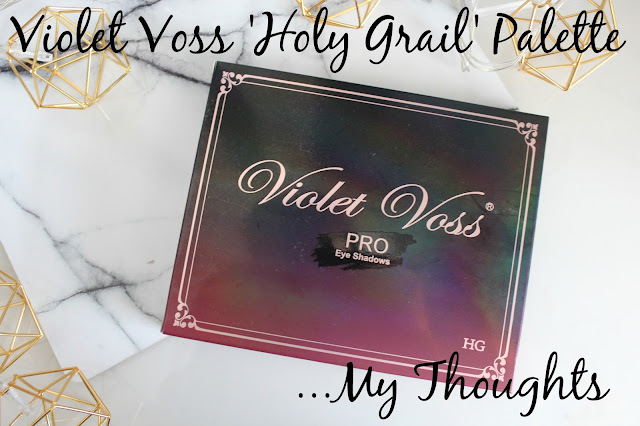 If a huge, chunky palette fits in your case of course! 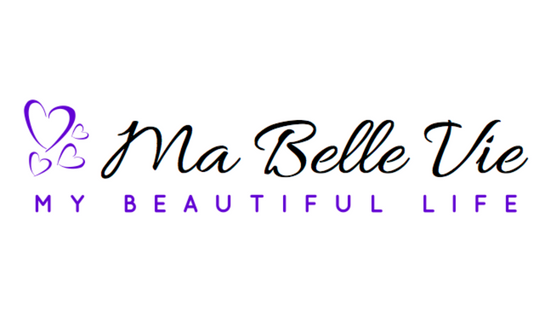 ;) But the 20 eyeshadows are housed inside a hard cardboard case, with a magnetic fastening. All cosy and protected! haha. It has that shiny cardboard that unfortunately leaves messy fingerprints everywhere though, which is a bit of a pain. The mirror is great though, a great size and an actual proper mirror too, none of that shiny silver card you can get in some palettes. 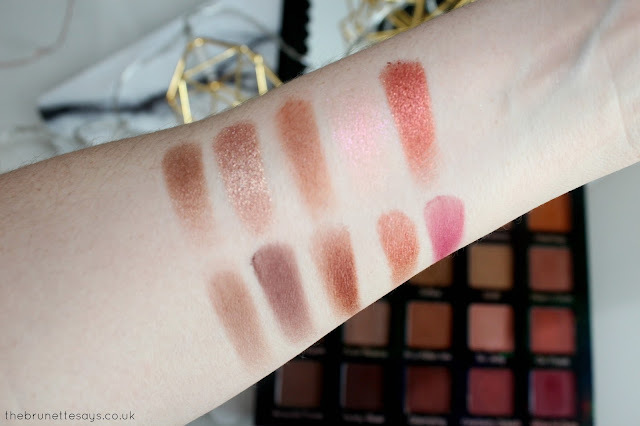 There are a mixture of shimmers and mattes and all seem to have different formulas. 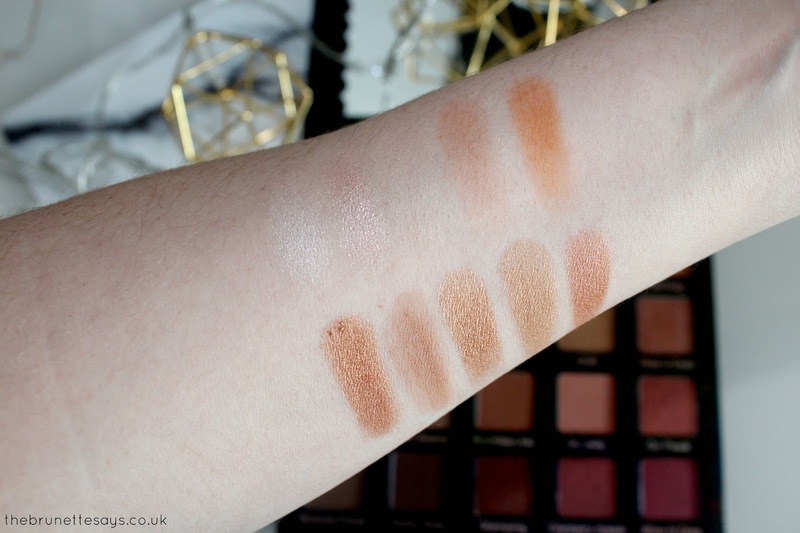 I'll be completely honest, there are some that are absolutely gorgeous; buttery smooth, easy to blend and amazingly pigmented yet some are chalky, difficult to blend and have a lot of fall out. I'll admit, it's pot luck with these shadows. But the majority are gorgeous, I mean, look at those colours! 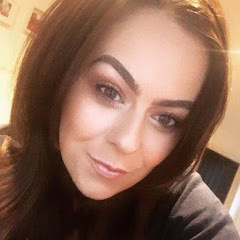 I'm not the best with eyeshadow, eye looks aren't my strong point, I definitely need more practice, but these colours are beautiful and easy to work with. Am I glad I purchased this palette? Yes. I wish some shades were less chalky, but there are some gorgeous colours in here. I reach for it most days for just a wash of colour or a more dramatic look. I've taken it with me for weekends away and done some lovely looks on me and the bestie! If you fancy giving it a try, you can pick one up here. What's your favourite palette right now?